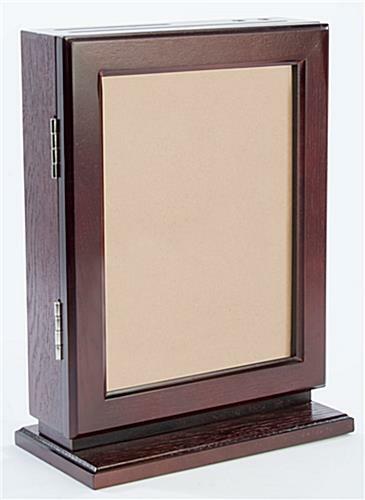 This red mahogany wall mounted ballot box is the perfect way to collect anonymous feedback and suggestions. 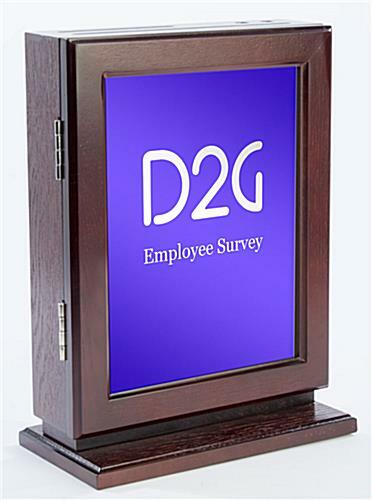 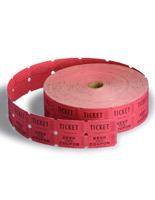 Many employers use comment bins to encourage employees to share ideas or recommendations. 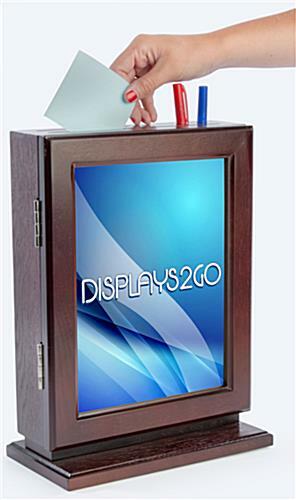 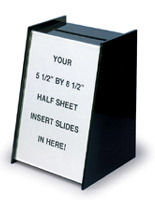 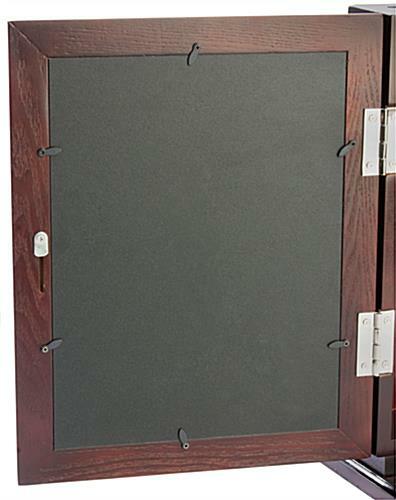 This wall mounted ballot box comes with an optional base so the unit can be used on a counter or tabletop. 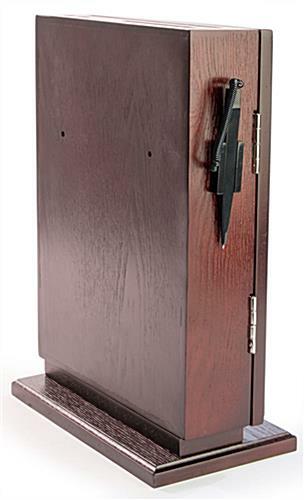 The bin contains two compartments and is sold with a security pen for added convenience. 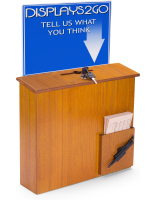 The wall mounted ballot box also has space to display an 8x11 sign or graphic on the front panel. 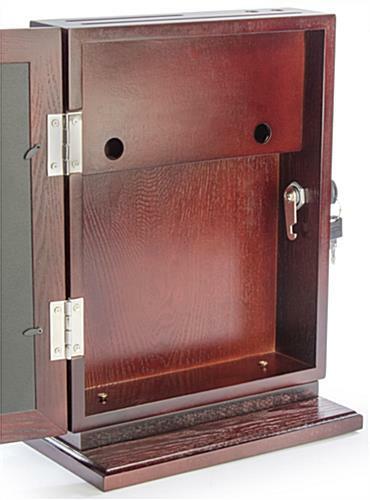 The hinged door locks to protect access to the bin’s content. 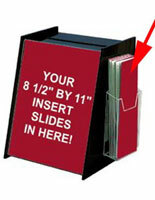 Please note: This ballot box can insert documents up to 8.5"w x 11"h (letter size). 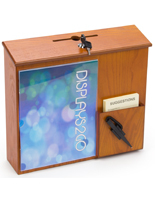 Please Note: Only the smaller deposit slot should be used for placing votes, notes, or etc. 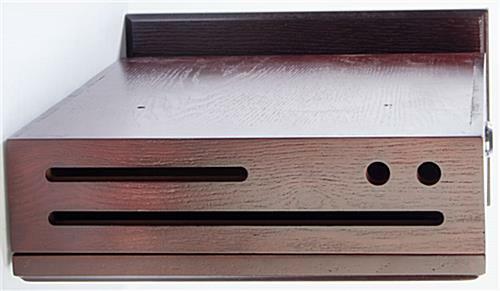 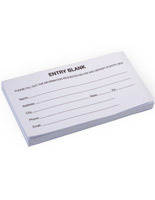 10.4" x 13.0" x 3.3"
10.4" x 1.5" x 5.4"